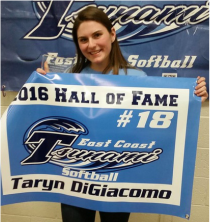 Tsunami Softball is proud to have founded the "East Coast Tsunami Softball Hall of Fame" in 2012. This Hall recognizes the achievements and accomplishments of our athletes on and off the softball field. All Tsunami Softball players must meet certain requirements to be nominated for the Hall of Fame. 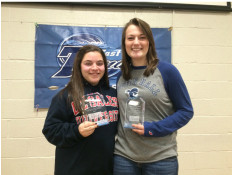 "2018 Hall of Fame Inductee & Tsunami Scholarship Award Winners! "2017 Hall of Fame Inductees"
"2016 Hall of Fame Inductee"
"2015 Hall of Fame Inductees"
"2014 Hall of Fame Inductees"
"2013 Hall of Fame Inductees"
"2012 Hall of Fame Inductees"